I am so behind on this challenge, it's not even funny. I'm not giving up though. If you are not familiar with this project created by Amy Johnson Crow of the blog No Story Too Small, click here. 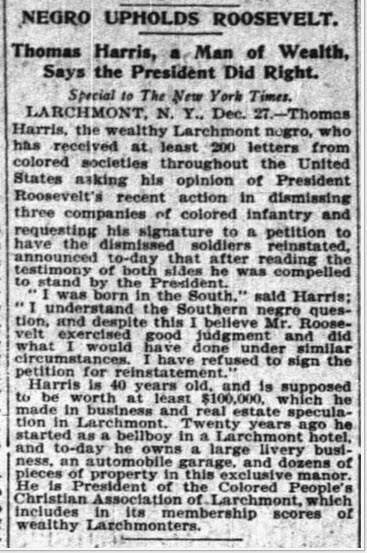 My 2nd great grand uncle, Thomas Harris of Larchmont, NY couldn't seem to stay out of the papers. After his attempt at becoming the Reciever of Taxes in Larchmont, he continued to run his successful livery business. Based on the following article, it appears to me he ran an honest operation. I get the impression that Thomas's wealth was exaggerated a wee bit. Don't get me wrong, I do believe that for a while he was able to do quite well for himself and his family. I just don't know think he was the "millionaire" that they were making him out to be in newspapers. Here's an excerpt from an article that ran in the Reading Times, February 24, 1903 where he talks about the attention he received because people were under the impression that he was so well off. This was written when he was in the midst of his run for Tax Receiver of Larchmont. He is now receiving scores of letters in every mail from persons who have an idea he is a millionaire. He is asked therefore to endow schools, to provide for the aged of his race, to educate children, to build churches, and to obtain the release of the unfortunates from hospitals and prisons. Some of his letters are of encouragement, telling him to persist in the fight for the sake of his race. All that press coverage from the election, did not go unnoticed. Over the years, he continued to receive letters from African American societies from across the country. My 2nd great grand uncle was a man who was able to give something back to his community. 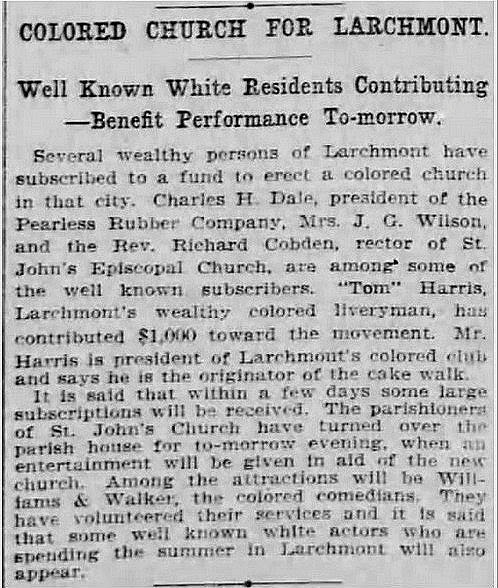 In this article, it's mentioned that he contributed $1,000 to a fund to erect an African American church in Larchmont. 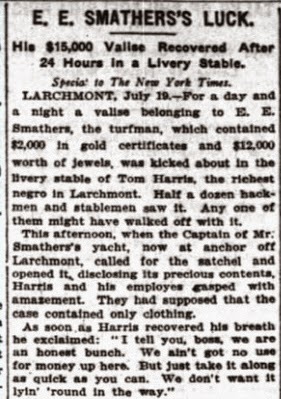 Certainly he wasn't the originator of the cake-walk as it says here, but perhaps he helped to make it popular in the village of Larchmont. Here's another example of Thomas Harris giving something back. 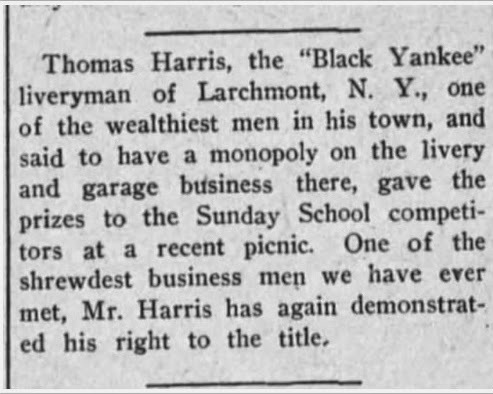 In this article it mentions he awarded prizes to Sunday school competitors at a picnic. 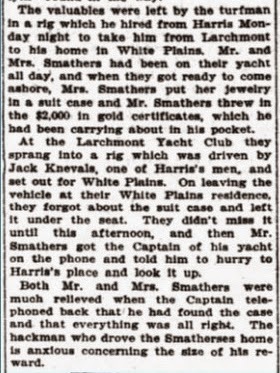 This last article highlights a 45th birthday party that Thomas Harris held at the Plymouth Inn in Larchmont. I wonder if he was affected by the Great Depression. Did you find anything out about him during that time period? Sadly, his interests were the in the decline from 1910 on forward. He died sometime between 1920 and 1922 because I found his wife listed as a widow in a 1922 city directory. I have some more research to do on him and her to get some more details on what happened. Thanks for following, Wayne. He must have been a very smart man! He was a very good friend of President Roosevelt too wow! Probably smart and a little charismatic too. He sounds like he was a character for sure. 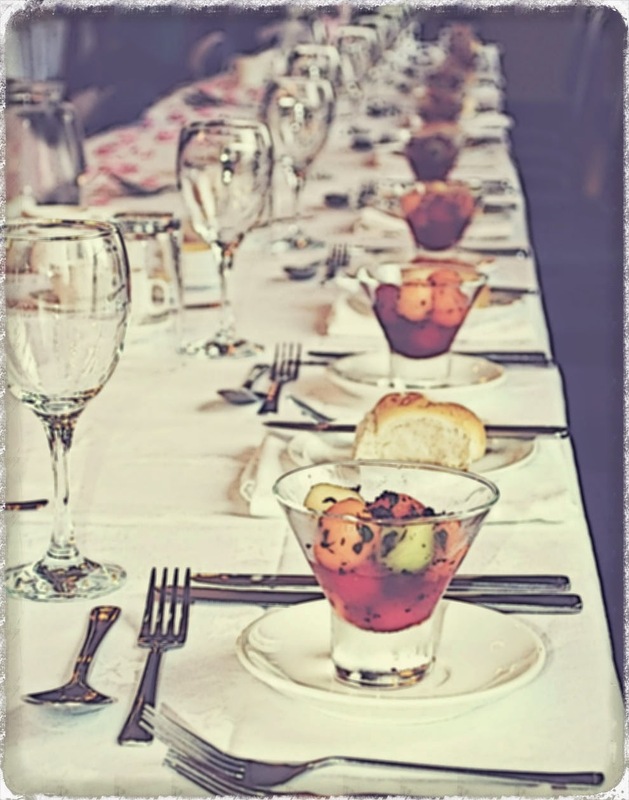 Thanks for your comment, Victori!